According to FINRA, an Office of Hearing Officers (OHO) decision became final in which STEWART MALLOY was barred from association with any FINRA member in all capacities. The FINRA sanction was based on findings that STEWART CLINTON MALLOY failed to appear and provide FINRA with requested on-the-record testimony in connection with an investigation into his alleged unsuitable and unauthorized trades in client accounts. FINRA’s findings stated that the matter arose from an amendment to a Form U5 filed by Malloy’s member firm that reported allegations he had made unsuitable recommendations in the accounts of clients who alleged they lost $1 million as a result of his misconduct. STEWART C MALLOY, was barred by the Financial Industry Regulatory Authority (FINRA) from acting as a broker or otherwise associating with a broker-dealer firm on January 9, 2019. If you’ve experienced investment losses due to the recommendations or actions of STEWART CLINTON MALLOY, formerly with Morgan Stanley of Riverhead, NY, contact Soreide Law Group, based in Florida, and speak to an experienced securities lawyer regarding the possible recovery of your financial losses at: 888-760-6552. 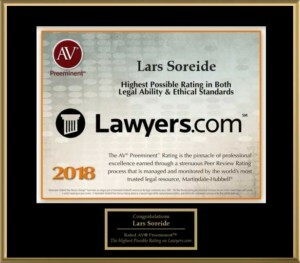 Soreide Law Group represents our clients nationally before FINRA on a contingency fee basis—no fee to you if no recovery.